Memo to casino operators: just because you build it doesn’t mean they will come. The findings could affect expansion plans by casino operators and may influence how policymakers in Iowa, who must approve new casinos, view adding more gaming facilities, says Donald Black, a psychiatry professor at the UI who has been studying gamblers and gambling habits since the late 1990s. The survey asked 356 residents in eastern Iowa 18 years of age and older about their gambling activity. The respondents were slotted according to the South Oaks Gambling Screen (SOGS), a known measure that ranks gambling behavior on a five-point scale, from no problems to addiction. Black and his colleagues compared the results to similar surveys done in 1995 and 1989. The researchers report that the percentage of people who didn’t gamble had risen to 83 percent in the most recent survey, versus 72 percent in the 1995 poll. Moreover, the percentage of non-gamblers in the latest survey was nearly as high as the 86 percent of Iowans who reported not gambling in the 1989 poll—before any casinos had been built in the state. 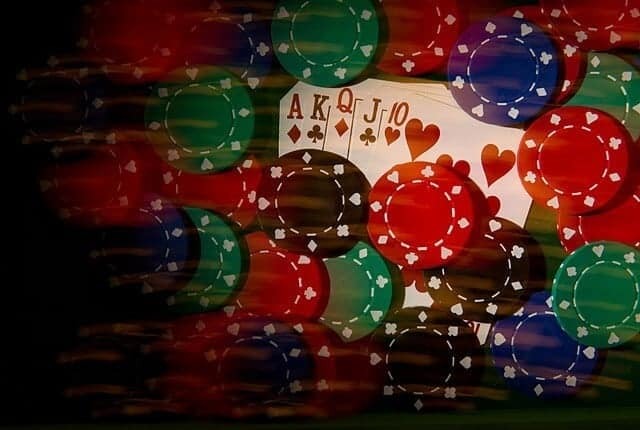 The prevalence of addicted gamblers, those with the highest ranking on the SOGS scale, also dropped in the most recent survey, from nearly 2 percent of respondents in the 1995 survey to 1.4 percent in the latest poll. This, despite a doubling in the number of casinos—from 10 in 1995 (including three racetracks that added slots that year) to 21 currently. Still, the number of self-reported gambling addicts was far higher than the 0.1 percent who claimed a gambling addiction in 1989. Bolstering that notion, the percentage of residents who say they gamble occasionally (ranked 1 or 2 on the SOGS scale) had dropped to 14 percent in the latest survey from 23 percent in the 1995 survey. Black adds that the results, although limited to Iowa, should hold true elsewhere. He said the findings substantiate a theory, championed by Howard Shaffer, a psychologist at Harvard Medical School, who looked at the impact of gambling in casino-rich Nevada and found that the number of people addicted to gambling was not disproportionately higher than other states. Black likens the public’s fascination with casinos as a child with a new toy. Sure, it’s interesting at first, but at some point “it’s lost its novelty,” he says. Gambling was legalized in Iowa in 1975 with the introduction of bingo. A state lottery followed in 1985, and dog and horse tracks were added in 1985 and 1989, respectively. Riverboat casinos were legalized in 1989, and the first three casinos, in Bettendorf, Dubuque, and Davenport, opened two years later. The state collected $116 million from casino gambling last fiscal year, according to the Iowa Racing and Gaming Commission. The survey was conducted between 2006 and 2008 during a family study of problem gambling. The UI partnered with the Center for Social and Behavioral Research at the University of Northern Iowa on the poll. Contributing authors from the UI include Jeff Allen, psychiatry professor; and Brett McCormick and Martha Shaw, psychiatry research associates. Authors from UNI include professors Mary Losch and Gene Lutz. The National Institute on Drug Abuse (grant number: R01DA021361) and the National Center for Responsible Gaming funded the research.